The Holiday season is now in full swing. 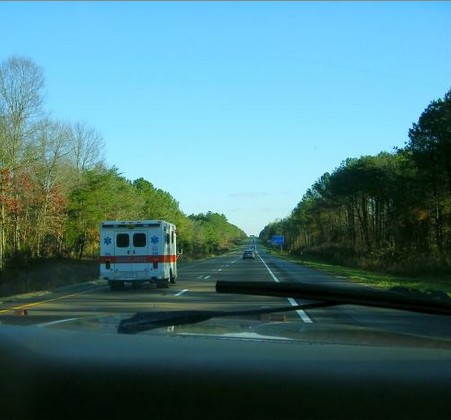 Nationwide, during this time of heightened travel, the likelihood of getting in an automobile accident dramatically increases. The traffic increases by over 50% on the five busiest holidays, and in turn the fatality rates on the road increase by 4.5 – 5 times. Thanksgiving is the most fatal holiday in regards to car accidents with an average of 567 on Thanksgiving day alone. 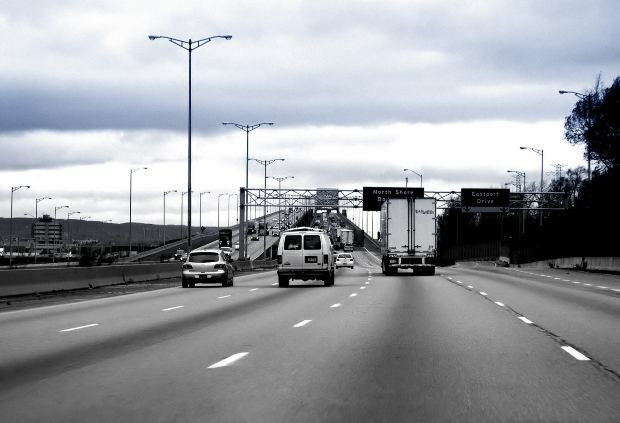 According to the Bureau of Transportation Statistics website, “The Thanksgiving and Christmas/New Year’s holiday periods are among the busiest long-distance travel periods of the year. During the 6-day Thanksgiving travel period, the number of long-distance trips (to and from a ¬destination 50 miles or more away) increases by 54 percent, and during the Christmas/New Year’s Holiday period the number rises by 23 percent, compared to the average number for the remainder of the year. ” Around 91% of holiday travel in the US is done by personal vehicle, leaving only 5-6% of trips taken by air. More than 2,700 vehicles have recently been recalled due to a problem with the vehicles side air bags. Federal safety regulators and The National Highway Traffic Safety Administration (NHTSA) have been investigating the problem they believe to be caused from defective parts. According to the investigation, “the recalled vehicles could have an ineffective mixture of the gas that inflates the side curtain air bags in a crash. That mix could mean air bags on one or both sides of the cars won’t inflate, increasing the risk of injury.” As of now, no one has been hurt but several companies have issued recalls. Regulators first noticed the problem at the end of January during a production parts tests at minus-22 degrees Fahrenheit, after further testing, results showed malfunctions at low temperatures. The inflators were made by the Swedish Autoliv Inc, who stated to have shipped around 10,500 defective inflators to automakers and to two other air bag manufacturers. The recall includes Toyota, Honda, Subaru, and Nissan vehicles but more may be recalled soon. Other than the companies who have already recalled their vehicles, Chrysler Group LLC, Ford Motor Co., General Motors Co., Kia Motors America and Suzuki Motor Corp. also received the defective parts but have not yet recalled any vehicles. For a detailed list of the recalled vehicles, please click on the following link – recalled vehicles. The NHTSA is continuing to look closely into the investigation in order to keep all drivers safe. As we all know, it is critical to have air bags in cars, they can save lives. With the advancement of technology and the improvement of safety features in cars, fortunately, we have seen a slight decrease in the number of fatal accidents on the road. According to records provided by NHTSA, in 2008 Texas had 3,476 fatalities due to traffic accidents. 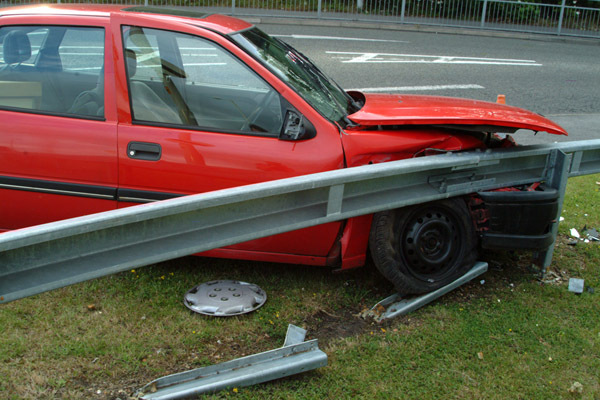 The number of fatal accidents decreased by 12 percent in 2009, resulting in 3,071 fatalities. Traffic fatalities have dropped by 10 percent from 2008 to 2009 for the nation as a whole. We hope to continue to see a decrease in the number of fatal accidents. With the holiday’s right around the corner, traffic is quickly picking up and winter weather is slowly moving in. 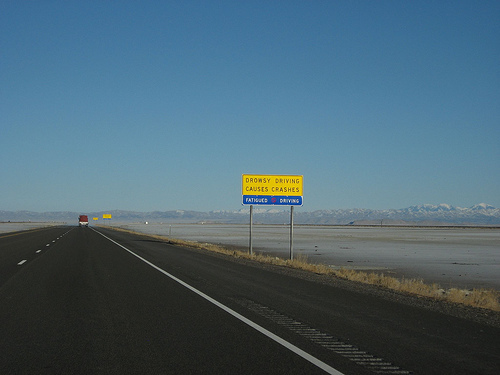 Borchardt Law Firm asks all drivers to be extra cautious on the road during these hectic times. Studies have found December to be one of the deadliest months for drivers across the state of Texas. It is one of the biggest traveling months and is also prone to unpredictable weather, such as rain, sleet, snow and ice. According to the Texas Department of Transportation, in 2010 December had one of the highest reports of fatal state highway and city street accidents. Whether these accidents were a result from weather or distractions, drivers need to be aware of their surroundings and prepare for any situation. At Borchardt Law Firm, our law firm has come up with a few guidelines for drivers in hopes to help prevent accidents on the road. Though Texas does not see snow that often, we get our fair share of rain, sleet and ice during the winter. If you must leave your house, be aware of these guidelines to help prevent you from getting into an accident. •	Before leaving your house, check your tire pressure and make sure your tires still contain enough tread to create traction on the road. •	Plan your route on main roads that have most likely already been driven on. •	Drive slowly; prepare to go under the speed limit. Give yourself at least double the amount of the time it normally takes you to get to your destination. •	You should allocate at least three times more space in between your car and the car in front of you. •	When preparing to stop gently pump your brakes, don’t slam on your breaks and hold them down – this could cause your vehicle to continuously slide. •	Keep your car in low gears to hold traction. 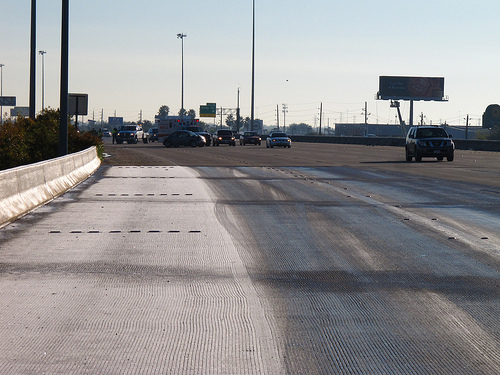 •	Try to avoid all bridges and overpasses – they will most likely be the slickest. •	Keep your lights on, helping other cars see your vehicle. •	If you begin to hydroplane, grip your steering wheel to keep control and wait until you feel your tires contact the road. •	If storms become too severe, pull over but avoid parking under power lines, trees and other large objects that could fall on your car. Distracted driving has proven to be one of the leading causes in car accidents across the United States, especially among teenagers. These accidents can tragically lead to the injury or death of a loved one. Make sure you and your family are aware about the dangers of distracted driving. Talk to your kids about the serious consequences that can result from these accidents. •	In Texas: bus driver laws pertain to bus drivers with passengers age 17 and under. Novice drivers are defined as all drivers at the intermediate stage, first 12 months. According to the National Highway Traffic Safety Administration (NHTSA), “20 percent of injury crashes in 2009 involved reports of distracted driving. 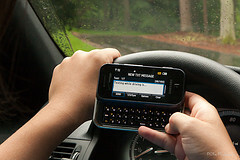 The age group with the greatest proportion of distracted drivers was the under-20 age group. And 16 percent of all drivers younger than 20 involved in fatal crashes were reported to have been distracted while driving” (NHTSA). Texas, trying to prevent more distracted driving car accidents, has enforced two new distracted driving laws. One bans teen drivers from using cell phones and text messaging devices while driving; the other prohibits all drivers from using handheld cell phones in school zones. These laws are now in effect across the state. Though, several Texas cities are taking distracted driving issues into their own hands. Dallas, San Antonio, Austin, Amarillo, Galveston, El Paso, Missouri City and Stephenville are among the cities that have passed local distracted driving laws.